Here we are, well into the winter months and I have a little secret to share. 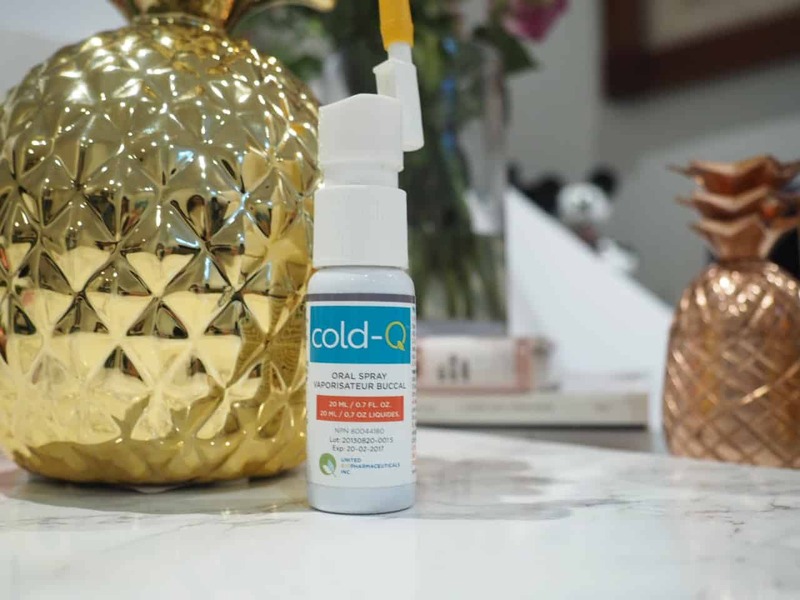 I have been using Cold-Q and since I have been using Cold-Q I can say that I have not been sick (knock on wood) while others around me have literally been sick like dogs, as the saying goes. As soon as I feel like I am catching something, you know that itchy feeling in the throat or I start to feel a little run down, I use the Cold-Q. I have also used it when I travelled, you know there are all kinds of germs on an airplane with the recycled air. I always have this in my purse. I also use it if I’m around anyone that is sick. Let’s face it, it’s winter and people are sick with the flu and cold. You can’t live in a bubble and avoid people (although there are some people I would like to avoid) so I take preventative measure to ensure that I don’t get sick. No one likes to be sick. Although it would be nice to have a sick day and just sit around and Netflix and chill, but it’s not fun coughing, sneezing, and oh my I don’t want to get into the other stuff the flu can bring. Here is a little bit of information on Cold-Q from their website where they list the herbal ingredients and the benefits of each ingredient. I think it is pretty awesome that they explain what each ingredient is used for. I would always rather try something herbal before resorting to the heavy stuff. I am familiar with most of the ingredients as I use to frequently visit a Chinese medicine doctor and acupuncturist and I tried a few different Chinese herbal medicines. Cold-Q is a formula of natural herbs in a unique natural oral spray format. Free of pesticides, heavy metals and preservatives, Cold-Q is also non-GMO. 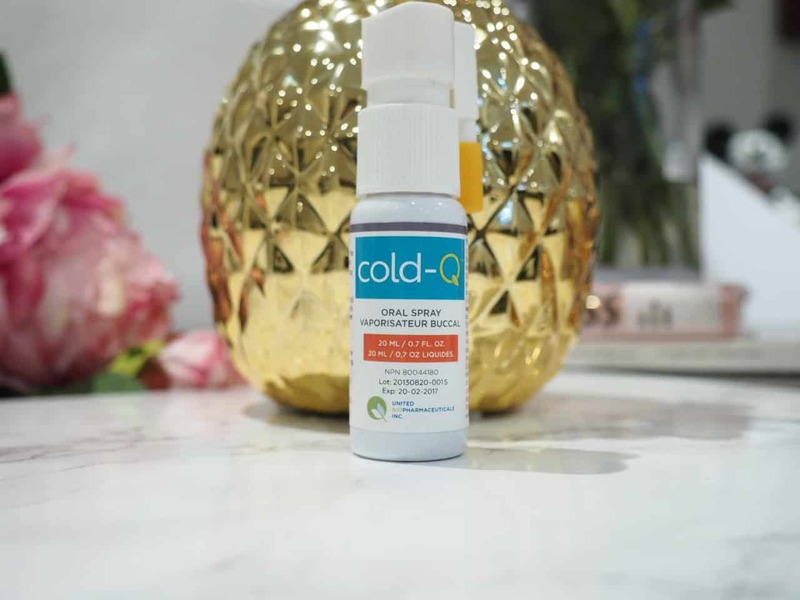 As an all-natural oral spray, Cold-Q directly coats the cells in the throat with the natural herbal formula, which many use as their go-to way to stay healthy when feeling symptoms of a cold/ flu. A clinical study showed that approximately 80% of patients who sprayed with Cold-Q were free of symptoms within two days of treatment with the product as compared to the control group which showed less than 10% response by day 3. This plant grows wildly in many parts of Asia and makes up a part of some gardens. The root of this plant contains several antimicrobial and anti-inflammatory chemicals Many of the sugars contained within this root also have antioxidant properties and can stimulate the immune system to fight viruses as well as prevent secondary problems like asthma. This flowering plant is a fundamental herb used in Chinese medicine due to its ability to stimulate the virus fighting arm of the immune system. The plant also helps to minimize inflammation reducing symptoms associated with catching a cold. This perennial medicinal herb has been tested for a variety of health benefits. It has strong anti-inflammatory properties and acts in the same way as non-steroidal anti-inflammatory drugs (NSAIDs) thanks to a molecule called Atractylenolide III. This herbal extract also has antimicrobial activity to prevent bacteria and fungi from causing infection. This plant is the basis for one of the most common flavours on Earth: licorice. The root system of this plant has been tested for its health benefits for decades. It has significant antimicrobial properties against bacteria such as Mycobacteriumtuberculosis and viruses including influenza. Licorice also has the ability to prime the immune system and ensure it is ready to combat any viral invader quickly. This perennial herb is found in many provinces in China. It is well known for its anti-inflammatory and antioxidant properties. More recent studies on this plant reveal it may also help ensure the virus fighting branch of the immune system is kept strong during respiratory viral exposure. This plant is also known as Chinese lovage but it’s not for your salad. The root system contains a chemical known as ligustiphenol. This is a strong anti-inflammatory molecule and helps to keep the immune system balanced. The extract also has strong antioxidant properties and can help protect cells from damage during infection. This is the sandalwood tree. Its aromatic chemicals have antimicrobial properties against several bacteria and viruses known to cause respiratory infection The oils from this wood also prevent the onset of inflammation during infection. The jujube fruit is well known for its culinary value but there are several medicinal benefits including antioxidant and anti-inflammatory activities. It contains a chemical known as betulinic acid, which kills influenza and aids in preventing damage to the lungs during infection. You simply shake the bottle, rotate the spout so that it points upward. Remove the safety cap. Tilt your head back and spray 5 times to the back of your throat. This can be repeated 3 times per day. Wait 30 minutes after spraying Cold-Q natural cold medicine before eating or drinking. Simple. Cold-Q can be purchased on their website . It is also available at most health foods stores across Canada. Check their website for retail locations near you. Do you have any secret remedies that help you not get sick? Of course washing your hands it the number one way to help. This is awesome. I’ll have to look into getting this🙂 thanks for the share!